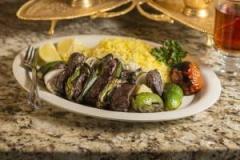 A Skewer each of our two most popular items Two skewer meal; one fire roasted seasoned boneless chicken marinated in saffron, organic lemon juice, with Babajoon's special spices and a Beef Ground Kubieh! Comes with 1/2 Charred Tomato -squish it and mix it in your rice. Two skewers of our most favorite item. 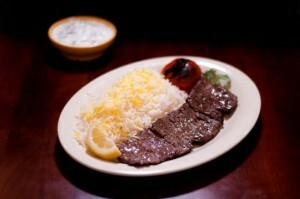 Beef double Kubideh! it comes with a 1/2 charred tomato - squish & mix it in your rice! Babajoon's in-house-made recipe of Creamy spread made from chickpeas, Sesame Seeds, Extra Virgin Olive Oil, Organic lemon Juice, and a touch of Garlic. 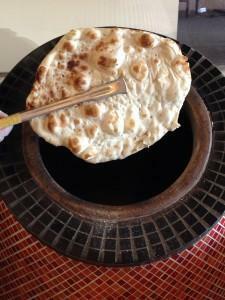 Babajoon's Bread Baked in our custom clay oven! 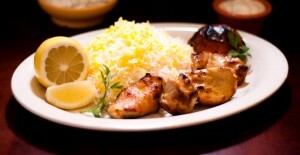 A skewer meal of charbroiled seasoned boneless chicken marinated in saffron, organic lemon juice, extra virgin olive oil and Babajoon's special spices! Choice of rice or salad or bread; It comes with a 1/2 Charred tomato - good to squish it in your rice! A skewer meal of charbroiled seasoned premium Harris Ranch Natural ground beef. 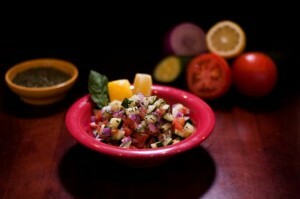 This is our most popular item, and we grind it in the house! You have a choice of rice or salad or bread. It comes with a 1/2 Charred tomato - good to squish it in your rice! Sauteed beef, Vegan option is with mushrooms, yellow split peas, and eggplant in a tomato based stew. 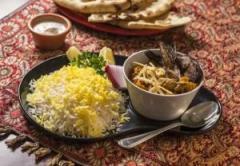 Traditionally it is served over the included Basmati Saffron Rice. 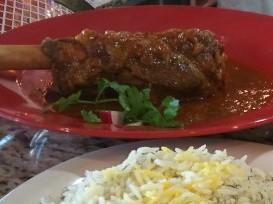 Lamb fore-shank, braised over 4 hours, in a tomato-onion based sauce. Average weight is about one pound before cooking. 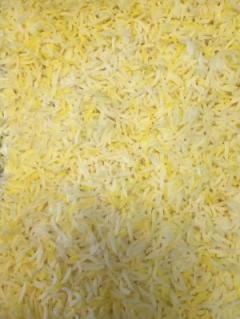 Served with: Basmati Saffron Rice. This uniquely flavored dish contains sauteed Onion and Chicken in a Tomato based sauce and served with Rice topped with Barberries (Similar to Cranberries) Or Sour Cherries. 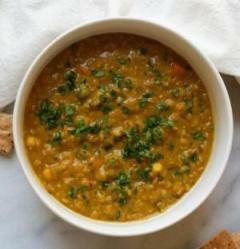 Turmeric Curry Vegan soup: Lentils, onions, carrots, bell peppers. Feeds 4-5 People (Of course it depends on how hungry they are!) 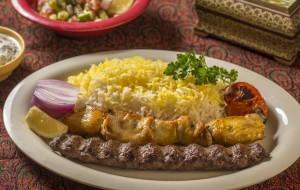 Two skewers of our most favorite item - Kubideh. 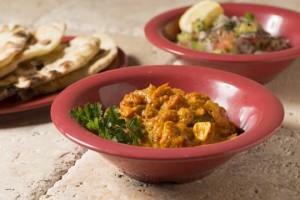 + two skewers of our Saffron marinated chicken - one white & one dark. + a skewer of Steak kabob (Chenjeh) + a skewer of Veggie Kabob (Zucchini, Onions, bellpeppers) + 4 charred 1/2 tomatoes + One Choice of an Appetizer ( Hummus or Mirza) + One Bread + 6 Cups of Saffron basmati rice + 6 cups of Babajoon's Salad (Lettuce, tomatoes, cucumbers, red onions, and olives) with Babajoon's Dressing (Salt, Mint, Organic lemon juice, Extra virgin olive oil) + 16 ounces of Yogurt Cucumber Sauce ***No Substitutions Please! 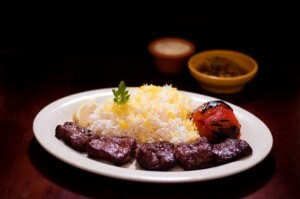 A skewer of tender beef strips and a skewer of ground beef Kubideh. It comes with a 1/2 charred tomato. 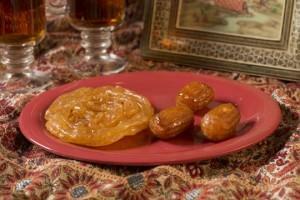 Sultani - this one is for the King...or the Queen! 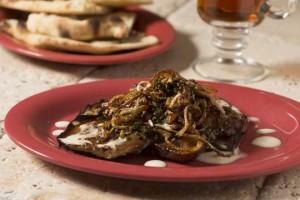 Sauteed garlic, onions, mint and eggplants with whey dressing. Mixed greens, Cucumbers, tomatoes, Imported Mixed Olives, Babajoon's Dressing: Extra Virgin Olive Oil, Organic lemon juice and mint dressing. 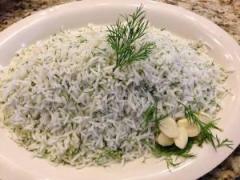 Basmati Rice infused with Dill Weed and a touch of Garlic. Mirza Ghasemi is its full name, but just call it "Mirza." Crushed Eggplants, sauteed onions & garlic, tomatoes and eggs. 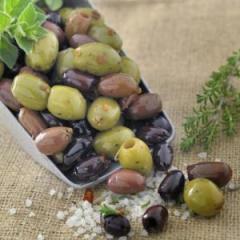 Enjoyed best as a spread over Babajoon's bread or with a side of Rice as a meal. 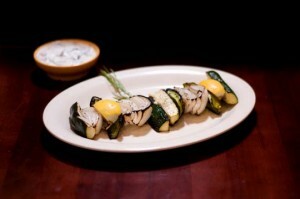 Skewer of onion, zucchini, bell pepper, & 1/2 fire Roasted Tomatoe. 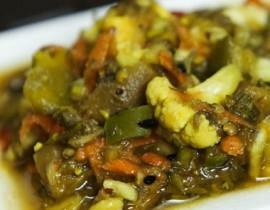 Pickled mixed vegetables in vinegar and Babajoon's Special Blend of spices. 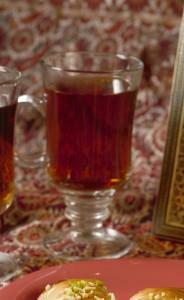 The word torshi comes from 'torsh', which means 'sour' in the Iranian/Persian language. 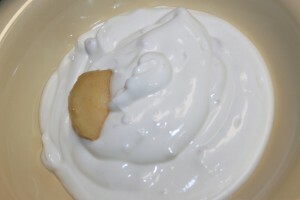 Yogurt with minced shallots. Great as a dipping sauce. Don't forget to add a bread! 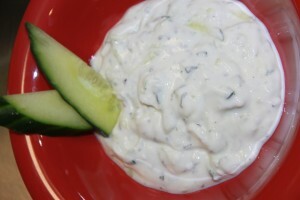 Yogurt with grated cucumbers, dill, and Mint! 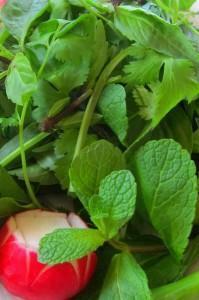 Use as a dipping sauce or mix it in with your rice! 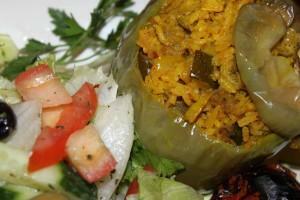 Bell pepper stuffed with rice, yellow split peas, bell peppers, eggplants, herbs and spices - includes 1/2 a charred tomato and your choice side of rice or bread or salad. Marinated tender beef chunks with assorted veggies (Zucchini, Bell peppers, Onions) Comes with 1/2 a grilled tomato and your choice of rice or salad or bread. Picture shows an optional added skewer of the same. 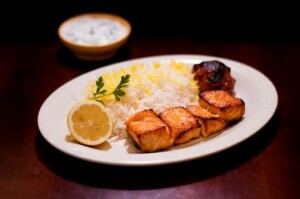 A skewer meal of charbroiled Norwegian Salmon marinated in saffron, organic lemon juice, extra virgin olive oil, and Babajoon's special spices! Comes with 1/2 a charred tomato and your choice of rice or salad or bread. Marinated tender lamb chunks with zucchini, onion, bell peppers. 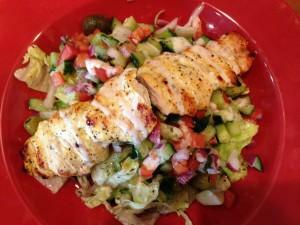 Comes with 1/2 a grilled tomato and your choice of rice or salad or bread. 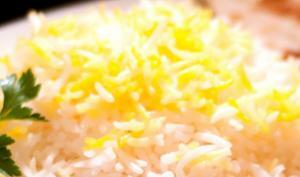 Basmati Rice topped with one of the world's most elegant spices - Saffron! Babajoon's in-house-made recipe of Creamy spread made from chickpeas, Sesame Seeds, Extra Virgin Olive Oil, Organic lemon Juice, and a touch of Garlic. 20 Scoops about 44 ounces,. 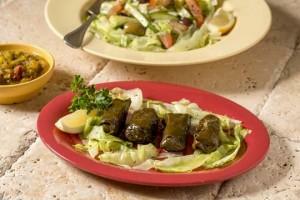 Grape leaves stuffed with Rice, Onions, Mint, and spices. Two can share this one, but get your own! We start with our own fresh baked bread, put a scoop of Babajoon's hummus, top it with lettuce, cilantro, parsley, diced tomatoes, cucumbers, and onions. 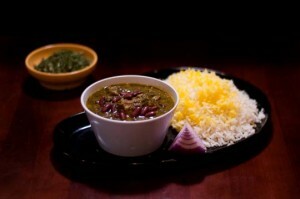 4 ounces of Babajoon's Yogurt & Cucumber (Mast-o-Khiyar) sauce is included. 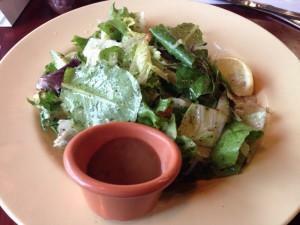 Juicier, healthier, and Better than Gyros! (Sorrry...to those who like MSG and Other unpronounceable Chemicals in their Sandwiches) This one here is Harris Ranch Antibiotic and Hormone Free Real Beef! The picture is an open face sandwich for show. No worries, we'll roll it into a sandwich for you. Babajoo'ns fresh baked bread, Babajoon's hummus, & we top it with lettuce, cilantro, parsley, diced tomatoes, cucumbers, and onions. 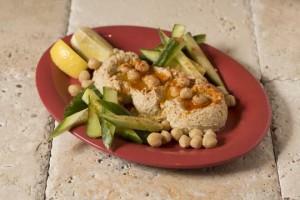 4 ounces of Babajoon's Yogurt & Cucumber (Mast-o-Khiyar) sauce is included. 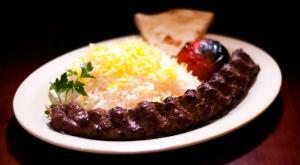 Medallions Chunks of charbroiled beef tender, the meal comes with 1/2 a charred tomato and your choice of rice or bread or salad. Try it with an added Kubideh! A marinated charbroiled beef tender strip skewer. 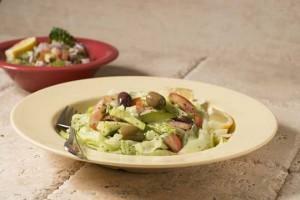 Comes with 1/2 a grilled tomato and your choice of rice or salad or bread. 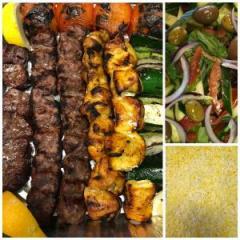 Try adding a Kubideh to make it a Beef King (Sultani) Kabob! 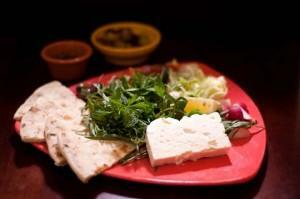 Seasonal fresh herbs and feta cheese, and a Babajoon's special bread Cooked in our Custom Clay Oven! 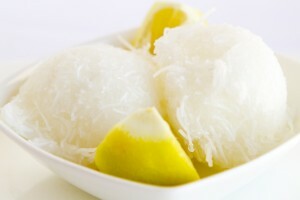 Rice noodles with refreshing frozen slush & a hint of rose water! 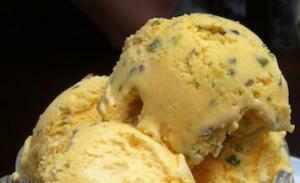 Saffron pistachio ice cream with a hint of rose water. 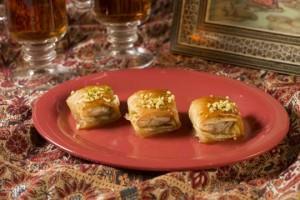 Rich sweetened pastry filled with chopped nuts! Soaked in honey and a hint or rose water. 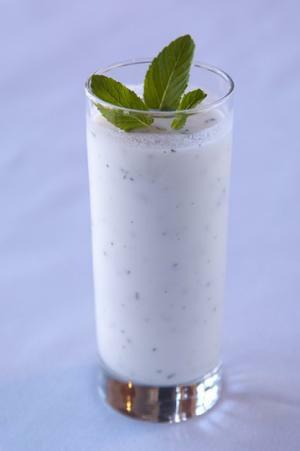 Babajoon's homemade savory yogurt-based beverage. Salty and tart! 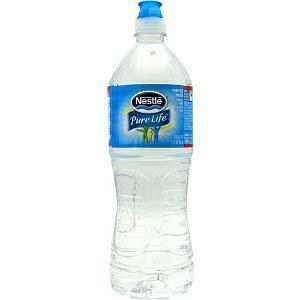 Non-carbonate. Closest taste would be buttermilk. This actually has no tea, but we had to call it such. 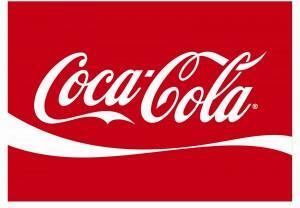 Caffeine free sweetened with real sugar, no corn syrup. 32 ounces of uniquely flavored thirst quenching with real natural floating fresh mint leaves. This iced tea is brewed from an imported blend of teas. Comes with actual floating real mint leaves! Nothing artificial about this drink.